The Lost Boys actor Corey Haim has died aged 38, the Los Angeles coroner's office has confirmed. The Canadian-born star's first role was in the 1984 hit Firstborn. In recent years, he appeared in reality TV show The Two Coreys. The series, which also starred Haim's friend Corey Feldman, was cancelled in 2008 after two series. In recent years, Haim had spoken to press about his battle with addiction. After Firstborn, Haim landed a role in the 1985 TV movie A Time to Live and also appeared in several episodes of the TV show Roomies. He went on to become a teen heartthrob after starring in the 1986 film Lucas, alongside Charlie Sheen and Winona Ryder. Haim starred alongside Kiefer Sutherland in The Lost Boys, about a group of friends who do battle with a band of teenage vampires. I only met him a couple of years back, and had a photo with him. He was a really nice guy, chatty, and very friendly. Such a shame. I met Corey Haim and Corey Feldman back in 2006 at a movie convention. It was a great day as I am big fan of "The Lost Boys" and Corey Haim was in great spirits and revelled in meeting his fans taking time to chat and sign photos with lines of dialogue from the film. It's very sad that he has died at such an early age. I have a signed photo of Corey Haim and Corey Feldman, a great reminder of a great day meeting two great actors and people, who appreciated their fans support. I'm a 30-something male and ordinarily utterly unaffected by celebrity deaths and the band-wagonning hysteria that surround them, but I'm truly numb at the news. Maybe it's because we're the same age and I spent my teens watching his films and admiring him - but it feels strange to think he's gone. He was fantastic in Lucas and The Lost Boys. A terrible loss. 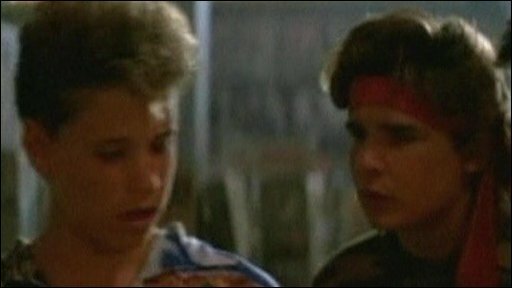 I spent my teenage years watching Corey Haim in such classics as the Lost Boys and License to drive. My sincerest condolences to his family, friends and countless fans around the world, he will be dearly missed. For someone who once had so much promise it's a heartbreaking shame to see such a waste. Lost Boys was a film that changed my life - tonight I'll go home, have a glass of wine, watch it for the gazillionth time, and no doubt shed a tear when he says "Death by Stereo". License to drive had a huge impact on me as child, I couldn't stop laughing! 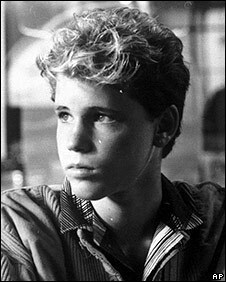 I grew up watching his films, thoroughly enjoyed watching the Lost Boys frequently and fell in love with Lucas. R.I.P. to an actor who created wonderful characters, whom I loved watching in my youth and still do to this day. My thoughts are with his friends and family. Forever you'll make everyone smile and laugh with your various film roles. My sincere condolences to family and friends. I remember him as the boy who had it all: charisma and good looks, fun, talent, and success. He was a bit older than me, so these were traits I looked up to. I always enjoyed seeing him on screen, perhaps I will rent some of his movies this weekend as a tribute. Being of the same age and watching his films in the 80s brought so much joy. But it just goes to show how short life can be! Don't usually comment on celebrity things, but this is quite sad. Grew up watching great films like Lost Boys and Licence to Drive we're the same age. Really quite tragic how the life of someone with such talent ends in this way. R.I.P. Sincere condolences to all family and friends. He was a talented actor at a very young age. Very inspiring. I loved all his films, but must say License to drive made me laugh the most. He had that perfect hapless, hopeless, look in the movie, that was so wonderful and so perfectly acted. The story was so believable, because of him. We'll miss you Corey... Rest in peace.